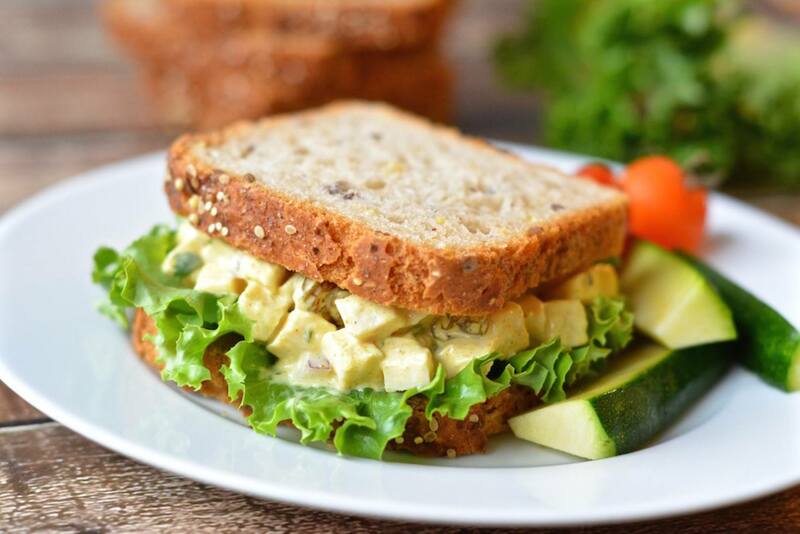 Give a sweet twist to classic chicken salad on gluten-free bread by adding golden raisins, diced mango and a bit of curry seasoning. In a large bowl, stir together mayonnaise,yogurt, cilantro, curry powder, salt and pepper. Add chicken, mango, golden raisins, and onions. Stir until mayonnaise mixture is well distributed. To serve, place lettuce leaves on a Three Bakers slice of 7 Ancient Grains Whole Grain Bread. Top with desired amount of Curried Chicken Salad and a second slice of bread.